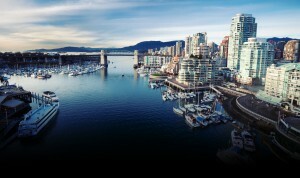 We are based in the heart of beautiful Vancouver, BC. We operate in the entire GVRD, YVR and the Fraser Valley. Call us now for a quote! We are based in the heart of beautiful Vancouver, BC. We operate in the entire GVRD, YVR and the Fraser Valley. We will dispose of your vehicles for you, in whatever condition they may be in! We have years of experience in the auto removal industry. Car-Vancouver makes it easy for you to dispose of unwanted luxury and sports vehicles and putting money in your pocket! We worry about it so you don’t have to. We’re proud to say that our services are very environmentally-friendly. We care about our planet as much as you. Up to $10,000 cash or more! Ask us about getting $10,000 cash or more for your vehicle! We accept and take all makes and models of cars, trucks and vans in any condition. If it has wheels (or used to) we can take it off your hands!